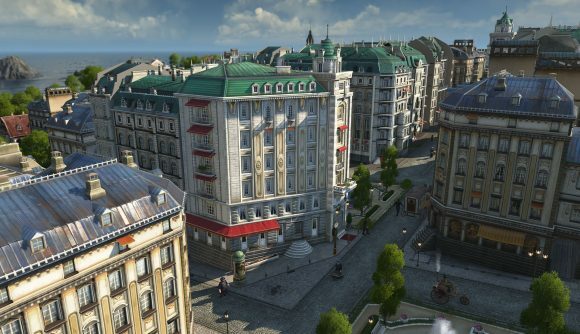 Ubisoft’s Anno 1800 is the latest game to drop from Steam in favour of the Epic Games store – though, like The Division 2 before it, the game will still be available through Ubisoft’s own Uplay launcher. Anno 1800 has been available for pre-orer on Steam for quite awhile now, which means there are all sorts of questions about how all those purchases will be fulfilled. The one thing you won’t get access to on Steam is the open beta, which is scheduled to run from April 12 to April 14. It’ll be a free download for everyone on both Uplay and the Epic store, but Steam will not host the beta. You can see full details in the official FAQ. At GDC, Epic said it didn’t want to repeat the Metro Exodus situation (as PC Gamer reported), and in fairness this Anno 1800 rollout is different. Metro as pulled from Steam ahead of launch, and while pre-orders where honoured, the sudden sales cutoff rang bitterly for many players. Ubisoft’s games making the switch to Epic haven’t hit as hard as other exclusives, since every most of the company’s titles run through Uplay regardless of where they’re initially sold.